Announced today, Sonic Foundry's Mediasite 4.1 release will give institutions the option to podcast their Mediasite presentation content. Colleges and universities that have Mediasite EX Server 4.1 will now be able to install the Mediasite Podcast Module (some institutions will qualify for a free module--check with the vendor), a transcoding engine that transforms Mediasite presentation content into portable audio for iPods or any MP3 players. Faculty will be able to offer podcasts of lectures and other audio content they record in their Mediasite presentations. The Mediasite Podcast software can automatically transcode presentations published to designated folders and generate an RSS feed for users to subscribe to the podcasts. 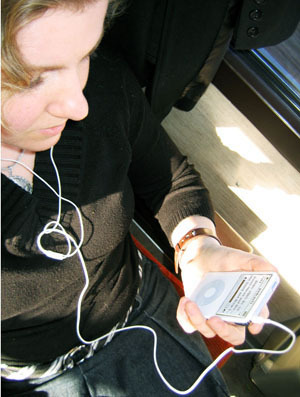 The podcast content can then be included in an iTunes playlist, in iTunesU, or managed as you would any other MP3 files.